8. 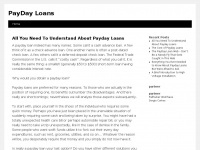 The Pay­Day Loan Web Dont Be a Needy Fly That Gets Caught in This Web /the-payday-loan-web-dont-be-a-needy-fly-that-gets-caught-in-this-w.. The web server with the IP-address 104.28.7.173 used by Ourcraft.ga is owned by CloudFlare and is located in San Francisco, USA. This web server runs a few other websites, mostly in the english language. The websites of Ourcraft.ga are hosted by a Nginx server and were developed in the programming language PHP. The content management system WordPress in the version 4.0.13 is used. 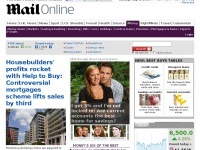 The HTML pages were created with the latest standard HTML 5. The website does not specify details about the inclusion of its content in search engines. For this reason the content will be included by search engines. 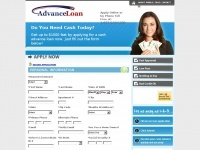 Cashnetusa.com - CashNetUSA On­li­ne Loans - Offi­cial Site | Mo­ney's on ..
Thisismoney.co.uk - This is Mo­ney: Be your own fi­nan­cial ad­vi­ser - ..
Advanceloan.net - Cash Ad­van­ce Loans & On­li­ne Pay­day Ad­van­ces - Apply ..
Upromise.com - Boost your Col­le­ge Sa­vings Plans and Col­le­ge Funds ..